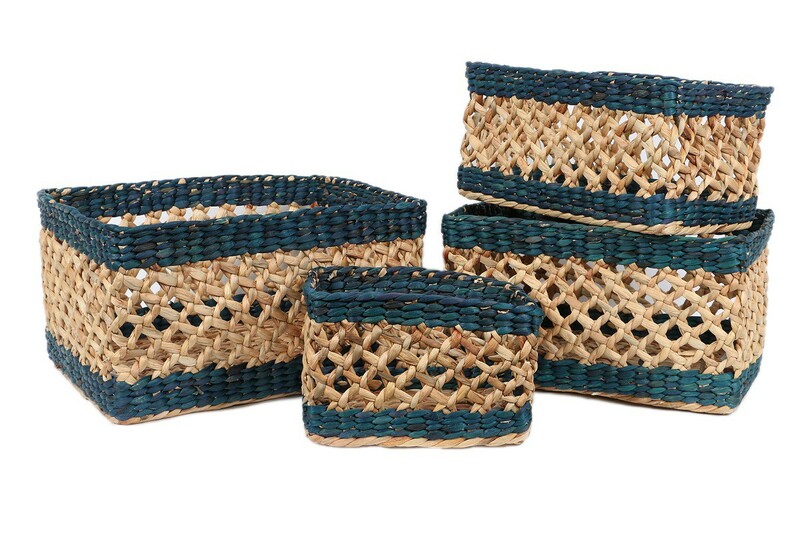 Set of 4 nested water hyacinth baskets with an open weave pattern. 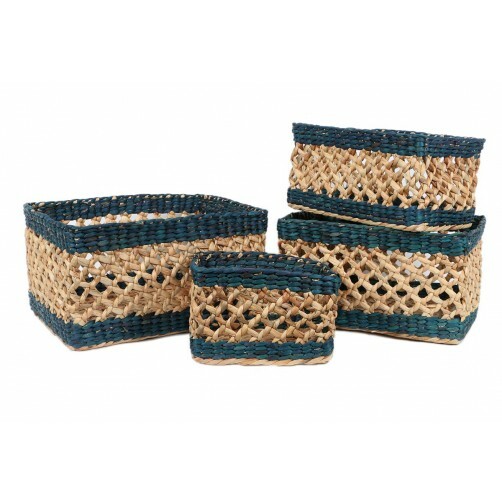 Small: 11" x 7.5" x 7.5"
Medium: 14.5" x 10" x 8"
Large: 16" x 12" x 9"
X-Large: 18" x 13.5" x 10"
Info: Ships out within 2-4 business days, direct from our store to you. If an item is temporarily out of stock, it will ship out approximately 1-2 weeks after you place your order.